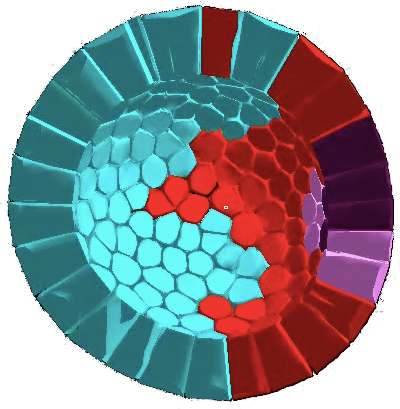 MecaGen is a theoretical, yet realistic agent-based model and simulation platform of animal embryogenesis. It is centered on the physico-chemical coupling of cell mechanics with gene expression and molecular signaling. 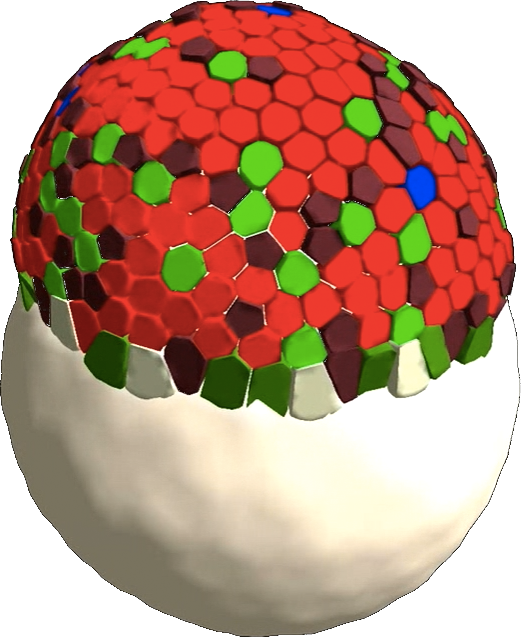 This project aims to investigate the multiscale dynamics of the early stages of biological morphogenesis. Embryonic development is viewed as an emergent, self-organized phenomenon based on a myriad of cells and their genetically regulated, and regulating, biomechanical behavior.